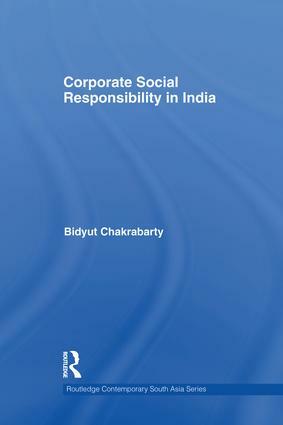 Presenting an analysis of Corporate Social Responsibility (CSR) in India, this book looks at the unique roots of the concept in India. It examines Gandhi’s philosophical moorings that inform India’s approach to CSR, and the role of civil society in setting an agenda for championing the rights of the stakeholders. The book goes on to focus on the role of the government in grooming the Indian business to be sensitive of its social concerns. Drawing on rich empirical data, the book shows that CSR in India cannot be conceptualized in ethnocentric terms. Arguing that it is not about ‘the typical Indianness’ of the articulation, it emphasizes the point that CSR in India needs to be conceptualized in a wider perspective by taking into account its philosophical roots with reference to the prevalent socio-economic and political context. The book is a valuable contribution to the literature on CSR, and is of interest to scholars of Asian Studies, business and development studies.